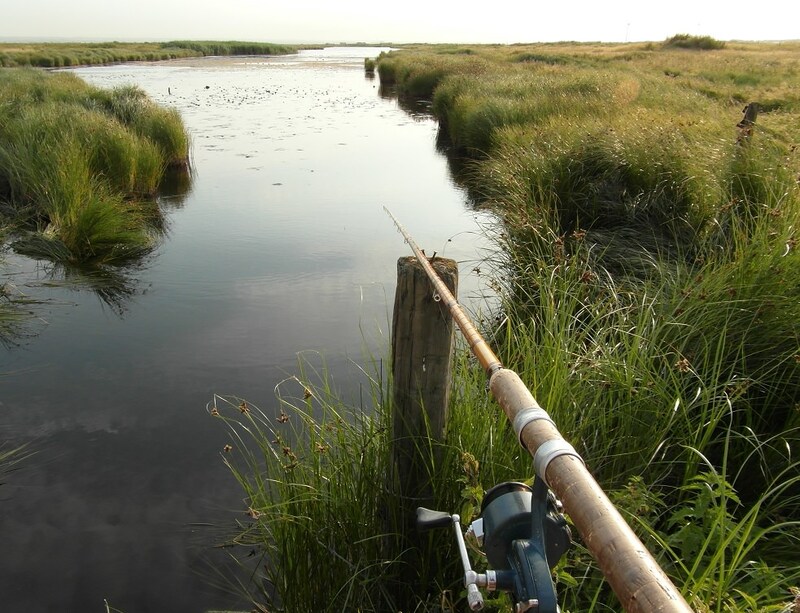 The other week I went fishing over our local marshland dykes and was shocked at how the water levels had gone down and the weed was taking over. To be honest I was only there a short while, took a few snaps and packed up. That's some rod rest you've got there matey , bet that weighs your rod bag down a bit! Well classy, love to know what you knock it in with? It might make more sense to ban keepnets for a mile below any weir... if there really is so little oxygen in the water that it has become the fishes' prime concern, they'll all be up as close to the weirs as they can get, so anyone fishing away from a weir is unlikely to have anything to put in a keepnet. (If they have, then take note, because they might just have shown you a very useful underwater spring!). Having a few anglers hanging around just "being there" - and vexing any fish that was more interested in feeding than breathing - would help monitor the situation and deter predators. There have been some questioning why it is considered necessary to take the action that we have done. I think that the most important reason is the observations the we, the anglers, have made during the recent weeks. Unlike on many of our rivers we still do catch barbel and in good numbers too. That allows us to see just how they can sometimes struggle to regain their strength to swim off strongly after capture. The nursing back to fitness is taking much longer with the current low water levels and the higher water temperatures. Some barbel have taken up to 40 minutes holding before release. The danger is that after they have released, apparently strongly, they can relapse and go belly up and die. Anglers have reported too many barbel floating down the river dead. Yes, some may have died in stretches above our waters, possibly where anglers are less caring, but why take any chances. These fish are probably over 10 years old, are precious and not worth taking any risks over. Dissolved oxygen (D.O.) readings have been taken by the E.A., we have many of their staff who are members of the N.P.S. Also, many of us anglers do take the water temperature readings when we fish. Finally we took note of the attached press release from the River Anglers Conservation Group (R.A.C.G.) before the committee made the decision it did. I see that Hereford and District have now suspended fishing on their stretches of the Wye and other rivers. 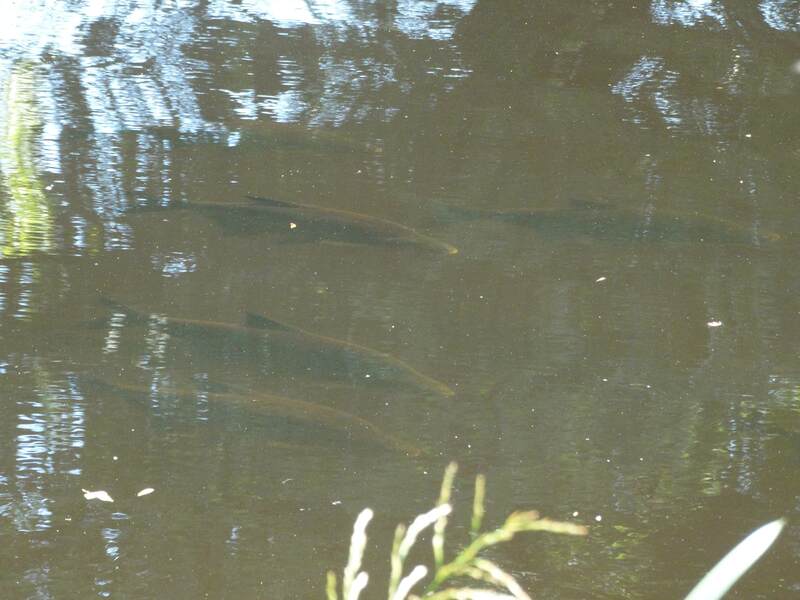 A recent picture of dozens of Bream gathered motionless in the margins on a stretch of the Tees. I cant be certain if it is low oxygen levels but I have never seen Bream do this on the river nor have I seen the river flow so slowly.. I was actually surprised at the amount of them as I have never caught one from this particular stretch. Not a very good picture but there were a lot of fish. I wont be going back until it is back to its proper levels.